Millions of American families struggle to put food on the table every day. 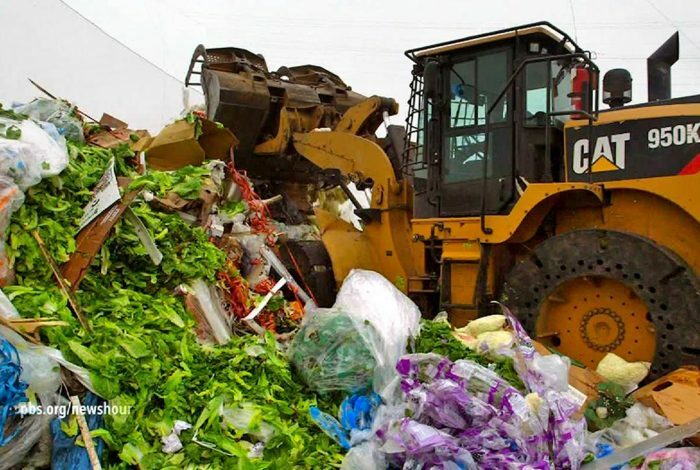 At the same time, nearly half of all the fruits and vegetables grown in the US ends up in landfills where they rot — releasing large amounts of methane, a greenhouse gas that traps over 20 times the heat that CO₂ does. Why are they rejected? It’s about money. If a vegetable is the wrong size, wrong shape, wrong color, wrong whatever, it won’t get the best price — so out it goes. Wouldn’t it make sense to donate these less-than-perfect-looking fruits and vegetables to the millions of poor? In this short video, you’ll learn more about the scope of the problem — and about some innovative programs that find a way to end the unconscionable waste, and redirect the food to where it can do the most good.